Mini version of Oppo Find 5? There have been quite a few rumors and releases of miniversions of flagship phones. It might come another one with some interesting specs. Read more after the break. 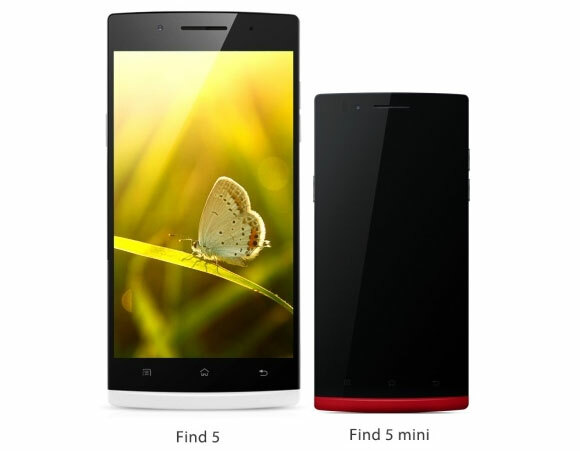 The Oppo Find 5 Mini will be exactly what its name suggests, a ‘Mini’ version of the flagship Smartphone from Chinese phone maker Oppo which we have posted reviews on recently. Unlike the 4.3-inch Samsung Galaxy S4 Mini and upcoming HTC One Mini, the Find 5 Mini will pack a 3.7-inch 720p display. This high-resolution and small screen size combo gifts the display with an amazing 396 ppi, not too far off from its 5-inch 1080p brother. While the design is almost identical, the Find 5 Mini may or may not come with a Qualcomm Snapdragon S4 SoC. Instead, Oppo might opt for a far cheaper Snapdragon 400 quad-core or even MediaTek’s MT6589 quad-core SoC. We will probably see more in the futute, but judging from the rumored specs, it really sounds interesting!